I am dying to read a good book about canon formation in opera (and classical music in general) because there is so much good stuff that never makes it into the canon or takes forever to get there. Well, I'm not sure to what extent we can speak of *a* canon rather than canons in the plural—this was incredibly evident at this seminar—but in a year or so you should hopefully be able to read this seminar's book in progress, The Oxford Handbook of the Operatic Canon, and find out more! I know it isn't PC to praise her, but I have to say I thought Fleming was among the finest Violetta's I'd ever seen. I'm only a qualified fan and I think her Covent Garden DVD is the better one. Better cast an conductor (Pappano) as well. 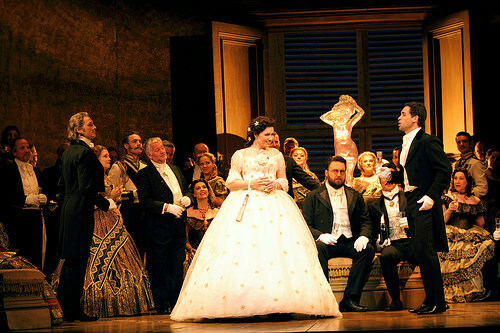 It's to bad Yoncheva cancelled, she was magnificent this season at the met and the decker is of course as stunning production. 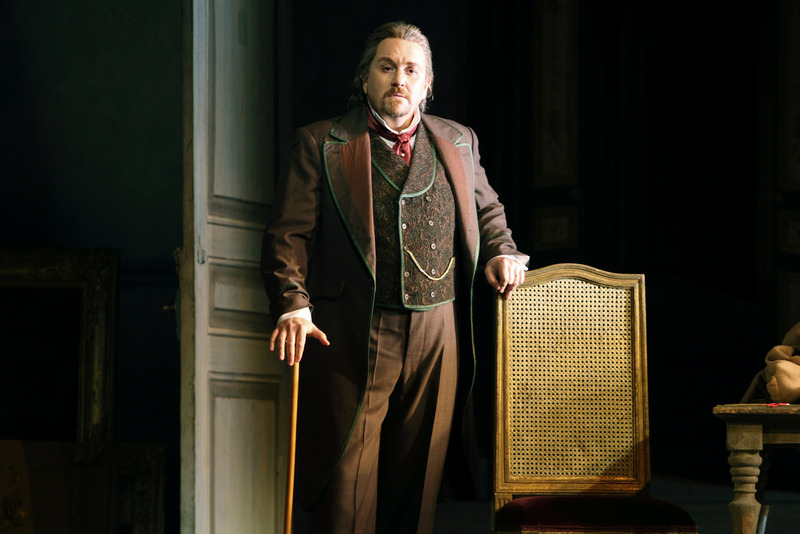 Considering that a different singer premiered this production, I found it surprising that Yoncheva embodied it more fully than any singer I'd seen in it. FWIW I thought Rebeka was quite good to, though I had similar problems that you voice here (just not to the same extent). I kind of like her. Peter: I haven't seen Fleming as Violetta and don't have an opinion either way! I'm not always her biggest fan but I've seen her do some beautiful things, I wouldn't prejudge. I could imagine that Rebeka could have been more effective in a bolder production like the Decker. 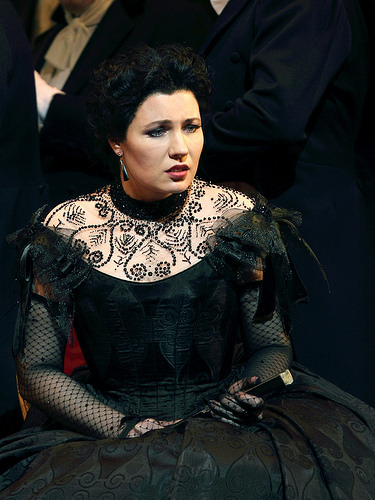 And if Yoncheva really is everything I've heard I will have plenty of opportunities to hear her in the future. Like you I'm not always Fleming's biggest fan (I found her Marschallin to be a surprising disappointment) but her Violetta surprised me. She does tend to lean towards the more traditional elegant Violetta (similar to Harteros) and so avoids some of the potential darkness of the role but her natural charisma and vocal beauty somehow made it work. Yoncheva was amazing. Her high notes are always the best but the technique is superb and the voice is lovely. Furthermore there is nothing about her that is studios and diligent a la Rebeka. After marina poplavskaya hers was the darkest Violetta I've seen yet unlike Poplavskaya she managed to be vulnerable and touching at the same time. Very much look forward to her Desdemona.